RAY CHARLES’ MUSIC CELEBRATED AT THE VENETIAN: “Georgia On My Mind: Celebrating the Music of Ray Charles” will headline The Venetian Theatre for a special six-week engagement Sept. 18-Oct. 29. 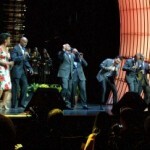 This new show by GOMM Productions, LLC features a full host of esteemed stars including: Emmy award-winner Clint Holmes; 10-time Grammy award-winning vocal group TAKE 6; six-time Grammy nominee and DownBeat Vocalist of the Year Nnenna Freelon; and Stella Gospel Award and Grammy award-winning saxophone star Kirk Whalum. The show also introduces the Las Vegas Mass Choir and feature the Las Vegas All-Star Big Band. Shows will be Tuesday, Thursday and Saturday at 8 p.m., and Friday at 9 p.m. Tickets range from $82.50 to $258.50. SHANIA TWAIN ANNOUNCES FINAL SHOWS AT CAESARS PALACE: Shania Twain has announced the end of her two-year residency “Shania: Still The One” at The Colosseum at Caesars Palace with the final show set for Saturday, Dec. 13, 2014. Her final 16 performances will run Oct. 8-Dec.13. Prices range from $55 to $250. Twain will have performed close to 110 shows since opening on Dec. 1, 2012. Twain was also recently named “Best Resident Performer” in the Las Vegas Weekly’s annual “Best of Vegas 2014” issue. EL CORTEZ CLOSES THE FLAME STEAKHOUSE FOR SIEGAL’S 1941: The El Cortez downtown will introduce a new dining concept to the property this fall with Siegel’s 1941. The revised space will have a historic look utilizing original design elements and an impressive display of archival artwork throughout but with a modern interpretation of your traditional 24-hour dining experience. To make way for the new 24-hour restaurant, The Flame Steakhouse will permanently close on Sunday, Aug. 31. 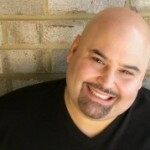 ‘40 IS NOT THE NEW 20’ OPENS AT RIVIERA WITH COMEDIAN MATT KAZAM: The Riviera will welcome the premiere of one-man show “40 Is Not the New 20” starring veteran comedian Matt Kazam to the Riviera Comedy Club beginning Monday, Aug. 25 at 10 p.m. Performances will be Monday through Saturday. Tickets are $40. The 70 minute stand-up comedy production explores how much the world has changed in the past 40-plus years. The show is for people who remember the boom box, Pac Man, the Rubik’s Cube, when there were only three stations on television, etc. Everyday topics like marriage, parenting, work, commuting, bills and exercise, just to name a few, will be compared and contrasted though the eyes of a 40 year old. PALMS BRINGS FAMED CHEF TONY HU’S LAO SZE CHUAN TO LAS VEGAS: Late in August, the Palms will introduce Lao Sze Chuan, an authentic Chinese Sze Chuan cuisine restaurant by renowned Chicago chef, Tony Hu, who is known in the culinary world as Chicago’s “mayor of Chinatown.” Honored with the Michelin Guide “Bib Gourmand” distinction for two consecutive years, Lao Sze Chuan is one of 16 restaurants owned by Hu. 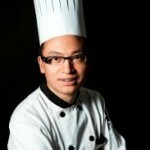 Lao Sze Chuan at Palms is the seventh location of the popular Chicago-based restaurant and Hu’s first Las Vegas venture. Lao Sze Chuan offers a robust menu of Sze Chuan cuisine and a selection of popular Mandarin, Cantonese, Hunan and Shanghai dishes made especially for the Palms location. 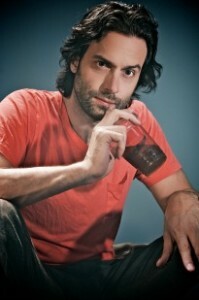 CHRIS D’ELIA DEBUTS IN ACES OF COMEDY SERIES AT THE MIRAGE: Comedian Chris D’Elia will debut in the Aces of Comedy series at The Mirage on Saturday, Dec. 27 at 10 p.m. The comedian, currently on his Under No Influence tour, was recently named one of Variety’s “Top 10 Comics to Watch.” D’Elia can be seen starring as Danny on NBC’s new comedy “Undateable.” He previously starred opposite Whitney Cummings on NBC’s multi-camera comedy “Whitney.” Tickets are $39.99 and $49.99. SOUTH POINT’S NEW PRIEFERT PAVILION OPENS: After installing eight million pounds of dirt, South Point Arena and Equestrian Center’s new Priefert Pavilion is open for business. South Point broke ground on construction for the new equestrian facility in spring 2013 to launch a joint project to expand the current Arena and Equestrian Center and build a new bowling tournament facility. The Priefert Pavilion offers an additional 100,000 square feet of competition space to the already existing South Point Arena that includes two new world-class arenas. With more than 31 weeks of equestrian and rodeo events scheduled in just 2014, the new arena space creates an opportunity to expand on current scheduled events while also introducing South Point to new events of a much larger caliber. Since the announcement of the Priefert Pavilion, South Point has added nine groups to the 2015 event roster that have never before hosted their event in Las Vegas. SHARK REEF AQUARIUM OFFERS NEW ANIMAL ENCOUNTERS: Shark Reef Aquarium at Mandalay Bay is offering three new experiential programs allowing four guests at a time a behind-the-scenes tour and to assist in feeding the Aquarium’s intriguing residents including stingrays, green sea turtles and zebra sharks. Tickets vary from $50 to $70 with discounts for Annual Pass members and children. Book online or call 702-632-4555 702-632-4555. 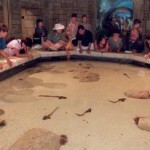 Animal Encounters has the Stingray Feed at 9:15 a.m. before opening the aquarium with one-hour of reaching down in to the touch pool to feed stingrays and horseshoe crabs breakfast. Sea Turtle Feed participants can get up close and personal with OD the sea turtle that captured headlines last summer after a cross-country journey to Shark Reef and his new Shipwreck mates every Sunday-Friday at 12:45 p.m. Shark Feed is one-hour interactive experience at 1:15 p.m. Monday, Wednesday and Friday with participants using a feeding tong and serving lunch to zebra sharks and larger species. 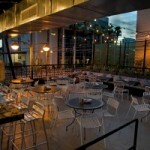 CARSON KITCHEN DOWNTOWN DEBUTS NEW ROOFTOP PATIO: Celebrity Chef Kerry Simon’s most recent restaurant endeavor, Carson Kitchen, has introduced a new rooftop dining and bar experience offering a full food menu downtown at 124 South 6th Street. The 910-square-foot, garden-style rooftop patio offers seating for up to 30 guests at fully-waited tables along with an additional 10 seats at the expansive granite bar. The rooftop patio opens at 6 p.m. daily. Live music is expected to be introduced later in the season. ‘VIVA VERACRUZ! THE SHOW’ PREMIERES AT PLANET HOLLYWOOD: “VIVA VERACRUZ! THE SHOW,” the story of a traveler’s journey through the colorful history of Veracruz, Mexico, will premiere at the PH Showroom inside Planet Hollywood on Monday, Aug. 11 at 7 p.m. The show is an adventure divided into 12 choreographed dance numbers composed of a series of vignettes with music that is a combination of original compositions and traditional songs such as the world-famous “La Bamba.” Tickets are $39 and $69. Shows are Thursday-Tuesday. DR. OZ WILL APPEAR AT THE COLOSSEUM AT CAESARS PALACE: America’s Doctor, Dr. Mehmet Oz, will take the stage at The Colosseum at Caesars Palace with an inspiring live show on health and happiness Saturday, Sept. 6 at 2 p.m. Dr. Oz will share cutting-edge information and conduct a Q&A session at the end. 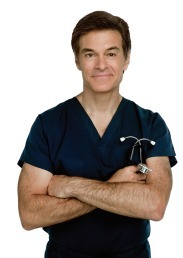 A limited number of seats will be available for a special VIP luncheon with Dr. Oz preceding the show. Tickets range from $50 to $275 VIP. STARTING WITH A LETTER – LVH TRANSFORMS INTO WESTGATE RESORTS: For the changeover from LVH – Las Vegas Hotel & Casino to Westgate Resorts, David Siegel, founder and CEO of Westgate Resorts, prepared the first letter “W” to be added to the resort’s marquee sign, which is the tallest freestanding sign in the world topping out at 279 feet. The first Westgate letter will be raised onto the marquee sometime in the next several weeks. The letters will be the tallest signage letters in Las Vegas at 20 feet and one inch high. MERYL DAVIS & CHARLIE WHITE HEADLINE ICE SHOW AT MANDALAY BAY: Current Olympic Champions Meryl Davis and Charlie White will headline “Pandora Unforgettable Moments of Love on Ice” Saturday, Dec. 20 at the Mandalay Bay Events Center at 7:30 p.m. This is a love-themed show in which the stars will skate to love-inspired music with a number of songs performed live by American rock band O.A.R. Tickets are $29.50, $64.50 and $99.50 and the event will be broadcast on ABC in January and February 2015. Also scheduled to perform in Las Vegas are Olympic gold medalists Brian Boitano and Evan Lysacek; two-time Olympic silver medalist Elvis Stojko; Olympic silver medalists Tanith Belbin and Ben Agosto; World Champion Kimmie Meissner; three-time U.S. Champion Michael Weiss; two-time U.S. Champion Alissa Czisny; and U.S. Champion Ryan Bradley. The show will be hosted by Olympic gold medalist Kristi Yamaguchi and Weiss. HOT TUB FOR LAVISH NOBU VILLA ARRIVES BY HELICOPTER: It’s a bird, it’s a plane but in Las Vegas, it was a hot tub flying through the sky via helicopter causing folks on the ground to do double takes. A custom-made Japanese-inspired onsen tub was dramatically delivered by air to the world’s first Nobu Hotel Caesars Palace. The final element needed to complete of the Nobu Hotel and lavish 10,300-square-foot Nobu Villa was the tub. The three-bedroom sky-top villa is the epitome of relaxation and luxury with a mini pool, an expansive 4,700-square-foot terrace overlooking the Strip, robatayaki grill, zen garden, signature omakase sushi bar, ultramodern media and game room, gym and massage room, private elevator and art gallery. HOT NEWS: SCORE! the Ultimate Sports Fan Attraction at the Luxor has closed. Plans for the space will be announced in the near future. Art Bar at Downtown Grand has introduced an array of inventive cocktails and an expanded food menu. Everything at Art Bar is offered at 50 percent off regular price, which ranges from $7 to $12, from 5 to 7 p.m. each day. Backbar USA brought more than 30 of Las Vegas’ top mixologists to invade Tales of the Cocktail® this month in New Orleans for the annual cocktail festival. Las Vegas Invades Tales of the Cocktail® took place at Harrah’s New Orleans with more than 1,500 cocktail enthusiasts. FIRST FRIDAY RETURNS AUG. 1 WITH “WONDERLAND” THEME: First Friday Las Vegas on Aug. 1 returns after a month hiatus with a new, fully-immersive experience, “Wonderland,” which is designed to explore the scope of fantasy, surrealism and all things that inspire awe and wonder. It also marks the first time local artists are solely responsible for creating and executing the event content. In late June, First Friday received 50 art submissions and narrowed applicants down to the 14 best and one will win a grand prize…a $10,000 commission for a subsequent work to be on public display for an extended period. 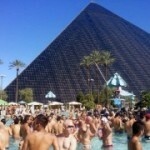 ABOUT TOWN HAPPENINGS: Temptation Sundays at the Luxor is hosted by J.Son from NakedBoyNews.com and is the longest-running Las Vegas LGBT pool party celebrating its five-year anniversary Sunday, Aug. 3. Upcoming scheduled events include: 5.0 Anniversary Party – Aug. 3; Proud and Loud – Sept. 7; and summer’s end Finale Party – Sept. 28. Triple George Grill downtown has introduced the power lunch with a new, prix-fixe menu for $15.99. Four courses are served Bento-box style with a soft drink, iced tea or coffee. Grimaldi’s Pizzeria is celebrating National Cheesecake Day Wednesday, July 30 with a special dessert promotion, a free slice of cheesecake with any purchase of $25 or more. Grimaldi’s two fall seasonal cheesecakes beginning Friday, Aug. 1 and going to October will be caramel apple cheesecake and Oreo Cookie. 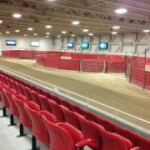 South Point Arena will host the Cowboy Mounted Shooting Association (CMSA) “Western U.S. Championship” July 30–Aug. 3. Riders ranging from novice to seasoned professional will compete in a fast-action timed event using two .45 caliber single action revolvers. Event is free and open to the public.The lineup for the Viva Las Vegas Event Center at 1201 S Las Vegas Blvd. includes: Kathryn Arianoff with band and guest singers every Sunday 5-8 p.m.; Bill Fayne with Friends (Bette Midler & Judy Garland) Aug 2; Live at Carnegie Series (Stephen Sondheim) Aug 6; and Rick Arroyo & the Latin Salsa Jazz Ensemble Aug 16. Tickets usually vary from $10 to $25; visit www.vivalasvegaseventcenter.com. Every Sunday Chadwick Johnson performs at the Italian American Club from 7-11 p.m. Mark Giovi will appear at the Mad Greek Café on Tuesday, Sept. 9 from 7-10 p.m. Colabo Studio Theatre at 900 East Karen Ave. Suite D-114 will present a special engagement of “Spring Awakening,” July 31, Aug 1 and 2 with four performances. Winner of eight Tony Awards, “Spring Awakening” follows a group of students in late 19th century Germany as they move from adolescence into adulthood. Tickets are $10, call 702-742-6109 702-742-6109. TREVI Italian Restaurant inside The Forum Shops at Caesars will celebrate National S’mores Day on Sunday, Aug. 10 with the S’mores Gelato and The Banana Veneziana for National Banana Split Day on Monday, Aug. 25. EASTER SEALS HOLDS SECOND WOMEN’S TEA: Easter Seals Nevada presents the 2nd Women’s Tea honoring guest Olivia Newton-John on Monday, Aug. 18 from 3:30-5:30 p.m. at the Four Seasons Hotel. Three community award recipients will be: Tonia Chafetz- general manager Tivoli Village; Christie Garness – event specialist City of Las Vegas; and Terri Peck – director of marketing and entertainment Fox 5 Las Vegas. Tickets are $55, visit Give.EasterSealsNevada.org. LOU RUVO CENTER HOLDS FREE EDUCATIONAL PROGRAMS: The Cleveland Museum of Art Series is videoconferenced at The Lou Ruvo Center for Brain Health monthly. Sessions are open to the public and free of charge from 11 a.m.-noon. Upcoming will be German Art on Aug. 5 and Achievements of Greece and Rome Aug. 19.The Lou Ruvo Center also has a Lunch & Learn Educational Series from noon–1 p.m. on Wednesdays. Event is free with drinks and dessert provided while people can bring their lunch. Upcoming topics include: Aug. 6 How Drugs Are Developed and Tested; Aug. 13 When Injuries Affect Spinal Cord Functions; Aug. 20 New Program Preview: Art in the Afternoon; and Aug. 27 Explore the Basics of Our Brain’s Anatomy.